… in the Golden Age when Peter was High King in Narnia and his brother and his two sisters were King and Queens under him. In those days, far south in Calormen on a little creek of the sea, there lived a poor fisherman called Arsheesh, and with him there lived a boy who called him Father. The boy’s name was Shasta. 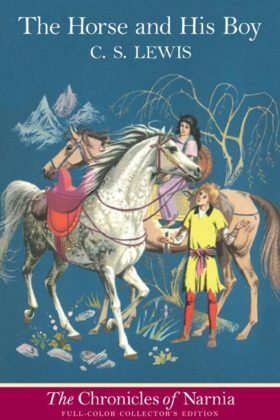 Book 5 in The Chronicles of Narnia series. This is absolutely my favorite book in the series! There are many parallels to our lives. I think I have always identified a bit with Shasta. Not because we have similar stories, but because we both needed to learn many of the same lessons.